A drawstring wash bag covered with adorable bunnies. Lovely wash bag. Perfect for any age group. Great for babies and small children, but also equally popular with adults. 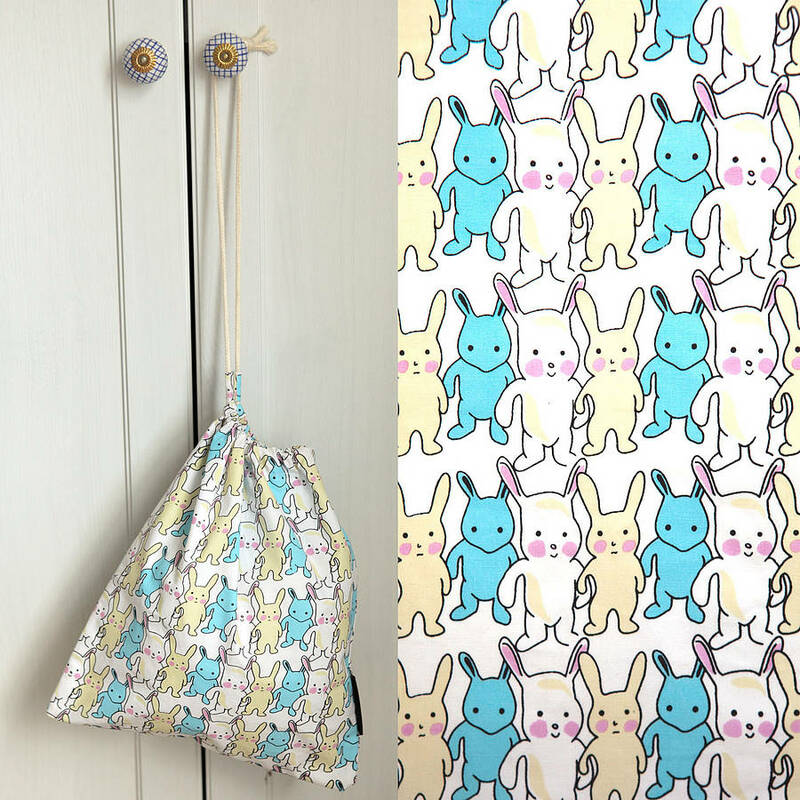 Designed by Jessica in her London studio, the bags have a 100% cotton exterior and a very useful waterproof/ wipe-clean lining. 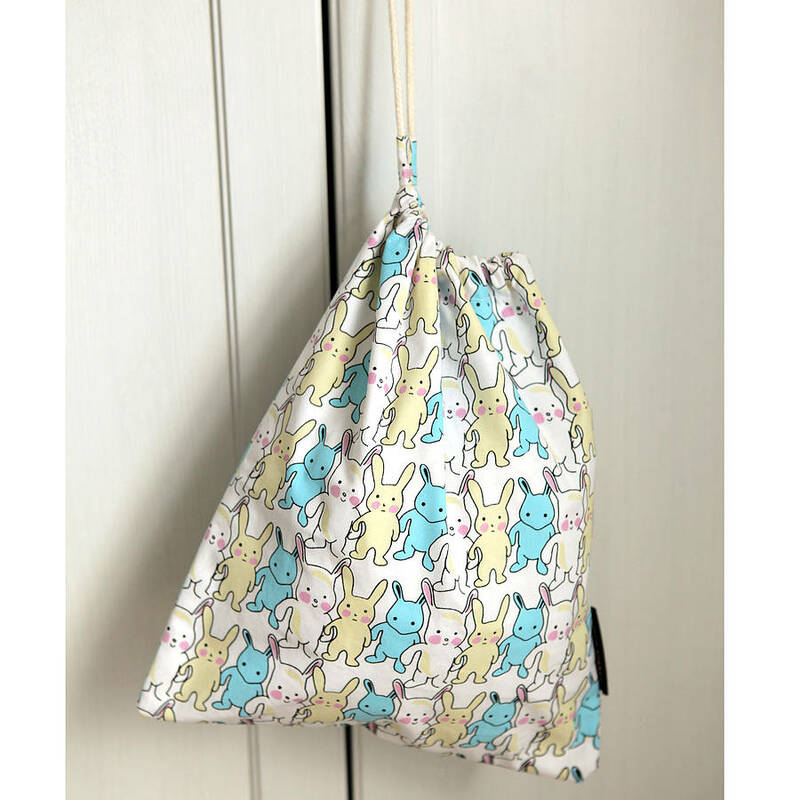 The drawstring provides a helpful hook to hang the bag. A great addition to any bathroom! 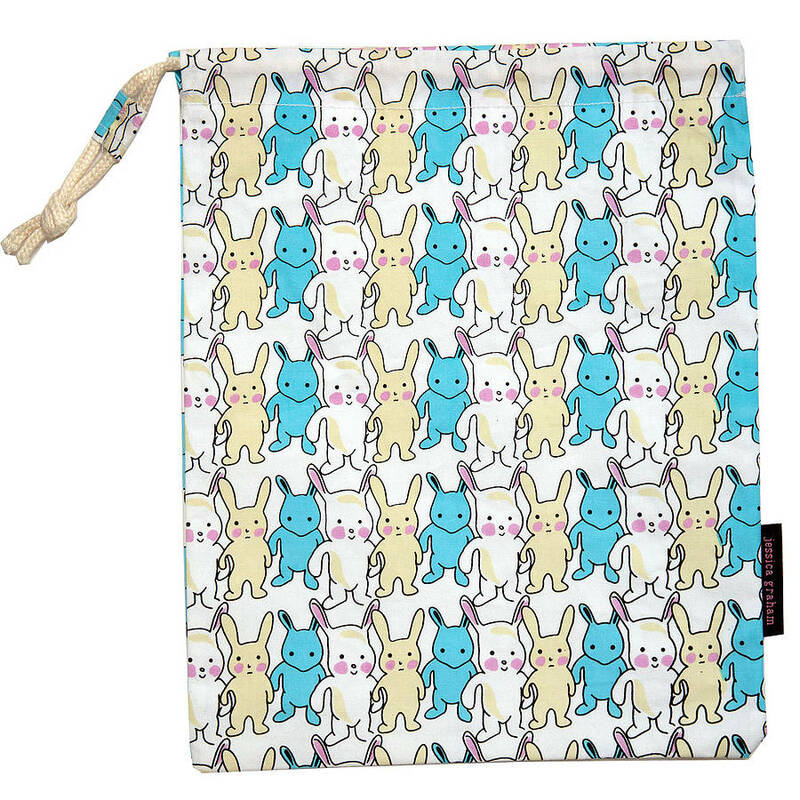 This bunnies design is featured across a range of 'Jessica Graham' products, so you can have bibs, blankets, towels and a framed print to match your bunnies wash bag. This product is dispatched to you by jessica graham.